I see the results we get with chiropractic and they still amaze me even after all of my years as a chiropractor. I make it my mission as a Louisville chiropractor to be dedicated. I want to see as many families as possible get the same opportunity to live a healthful and happy life! Dr. Megan began her studies at Central Michigan University. Since completion of her degree at Sherman, Dr. Megan holds a postgraduate certificate in FirstLine Therapy Nutrition, FAKTR Certificate and is working toward an animal chiropractic degree. Her passion lies in her office working with families, athletes and children of all ages. She served as the NCAA Women’s Basketball Chiropractor in years 2014 and 2016. Dr. Megan Socha is a 2012 spring graduate of Sherman College. She opened her first office with her sister (identical twin) in Kentucky in 2013. She since then has opened up her own chiropractic office in Louisville KY and has been serving her community for over two years. 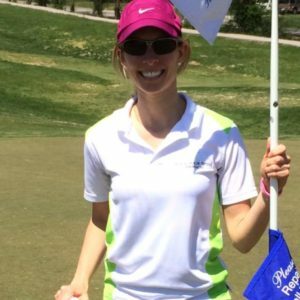 Dr. Megan stays active throughout Louisville by being a member of the Women4Women Organization and holds a chair on their golf committee, participant in the Alzheimer’s annual blondes vs brunettes football game, local middle school basketball assistant coach, and plays on a summer golf league.